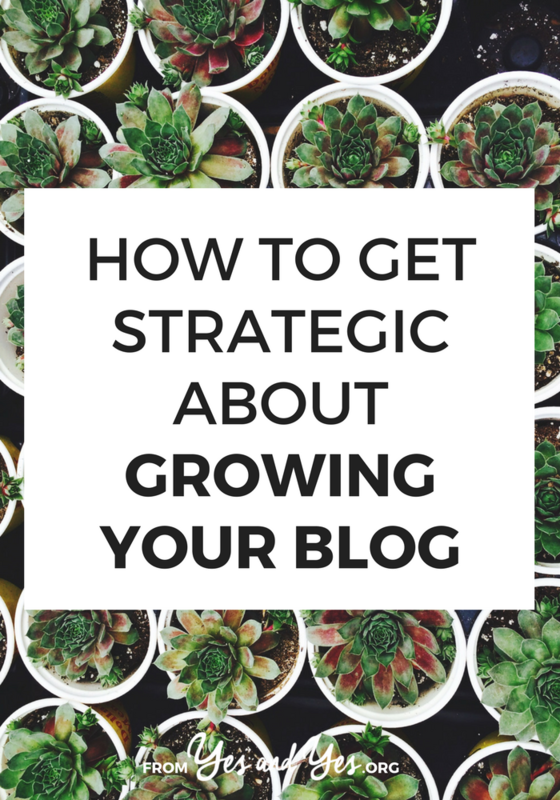 How many articles and blog posts have you read about growing your blog? 10? 20? A jillion? I’ve been blogging for almost eight years and I thought I knew pretty much everything there was to know about growing your online space. And then I went on a mastermind retreat with Kyla and she blew my mind. So I obviously asked her to share her best ideas with you guys! There are so many top ten posts with conflicting advice on the best way to start or grow you blog and business that it’s hard to know where to start! Thankfully there’s a simple three-step process to grow your blog or business that I developed as a web designer and still use as a blog and business strategist. No matter what your goals are, it applies to you. If you have a blog, it applies to you! If you want to monetize in the future, or don’t want to monetize at all, it applies to you! Strategy is all about making decisions. But if you’re anything like me, decisions aren’t your problem. What trips you up is that you want to make the right decisions. On top of that, I’m willing to bet that you’re smart, you’re trying really hard, and you have been for a while. You’ve put tutorials into action. You practically have a degree from the University of “I’m going to Google that”. While the next step might feel unclear in the moment, if you add it all up, you’ve taken a lot of action already. Probably not as much as you think you should have, but you’re trying things out. 1. If nothing else, what’s the one thing you would want your ideal client to do when they first visit your website? For many bloggers, the answer is to subscribe by email and receive updates. This question works in your favour a few ways. First, people gain our trust over time, which means that very few people on their first interaction. Subscribing by email gives you a chance to provide value to your audience, to build trust over time through an email autoresponder series (i.e. Content that’s dripped out to your readers slowly, over time.). Instead of hoping for an impulse purchase, which would only happen on low dollar value items, your reader now becomes someone you can build a relationship with over time. So consider what action could your reader take that would help your business the most? 2. How and where on my blog do I ask visitors to the ideal first step? While we can often identify what the idea first step is when I review the website of most of my clients with them, we’ll immediately see that they haven’t directly and specifically asked their readers to take action on it. If you would like people to subscribe to your newsletter, you could include the phrase “Click here to subscribe for more updates” and link it to a subscription form. If you can’t make the technical changes on your own, you can hire someone and ask friends if they have any developer friends. Either way, asking this question will help you understand what to add or emphasize on the site. Anything that supports this ideal first action is automatically top priority. 3. What doesn’t build trust or point visitors toward that ideal first step? This last question is the most important of all three, and it’s the one that could have you missing out on the most if you skip it! Look around your blog and ask yourself, “What here doesn’t build trust with my readers, or point visitors toward their ideal first step?”. Then strongly consider moving anything that’s not helping accessibility, building trust or making the next ideal steps clear. Keeping clutter in hand is personal, and the ultimate decision is up to you. Just remember that when you’re overwhelmed, any choice you make to act is the right one. When you choose to take action, you’ll learn every time. Thanks so much for sharing your insights, Kyla! What have you guys done that’s helped grow your blog? Leave your best tips in the comments! How To Turn Your Hobby Into A Job: Tips From Someone Who Did It! Oooo. I like these things. now I need the energy to make some changes! Great post, Kyla! Love your ideas – they are spot-on.